Anita Jo Intenzo-Haunted Author: HAUNTED BLOG UPDATES-CAN YOU BELIEVE? HAUNTED BLOG UPDATES-CAN YOU BELIEVE? In the last 5 months since starting my blog there have been several interesting developments that have changed and should be added as updates to the particular subjects I explored in several of my blogs. Here are 2 popular Blog Updates. My friend of 30 years was an anthropologist and he wrote numerous stories (on an old portable typewriter) and some topics were about the origins and history of our modern holidays. Halloween was one of his favorite times of the year and as it so happened I came across an article he wrote about this holiday. His research showed that it was a holiday adapted from early pagan traditions to a Christian Holiday honoring the dead and how it evolved to become one of our major holidays due to our cultural fascination today with icons associated with it: witches, goblins, demons, monsters, and GHOSTS. He particularly singled out ghosts in this article that were called “Poltergeists”. I think it had to do with the word being of German origin (meaning- noisy ghost) and my friend was very proud of his German heritage. Little did I know, at the beginning of my 10 months spent at Paul’s house, to clean it out for sale, that ironically I would be confronting some of the very subjects my friend had written about in his article! I would like to share this excerpt from my soon to be published book as why I believe my friend’s spirit was haunting his house. 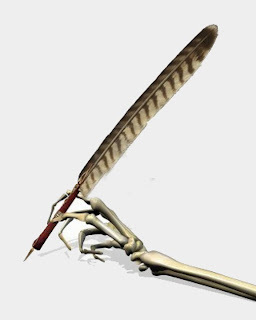 You will have to wait for the book to be published to read the full and chilling story of my paranormal experiences so you can draw your own conclusions. Abbreviated Excerpt from Chapter 15- Caught on Tape! I walked into Paul’s almost empty bedroom and retrieved the tape recorder that I had placed on his bed earlier that day. I brought the recorder to the dining room table and rewound it and found about two hours of tape had recorded. When I played it back, I could distinctly hear voices on the tape. Had I captured audible paranormal sounds? Then I realized they were our voices coming from the basement right below Paul’s bedroom. Over our excited voices, and at the exact moment the poltergeist activity was happening in the basement, you could simultaneously hear either a knocking or a banging sound. I played the tape back for my son Chris and his friend Eddie when they came upstairs. It was a question beyond any rational explanation. “I don’t know. What gets me is that the knocks are coming right from Paul’s room,” I said. I paused and looked around the room, and noticed the portable typewriter covered with an old orange towel that had been pushed aside on one of the window ledges. I realized we had never even looked closely at it. To me, it was just another obstacle we moved out of our way to clear Paul’s room. This time, something was drawing me to the typewriter to take off the towel. We just stared at the typewriter. My friend had to be the one who had typed the words but I had no idea when or why. Was he trying to send us a message? I wondered, was his room the source of the paranormal activity? 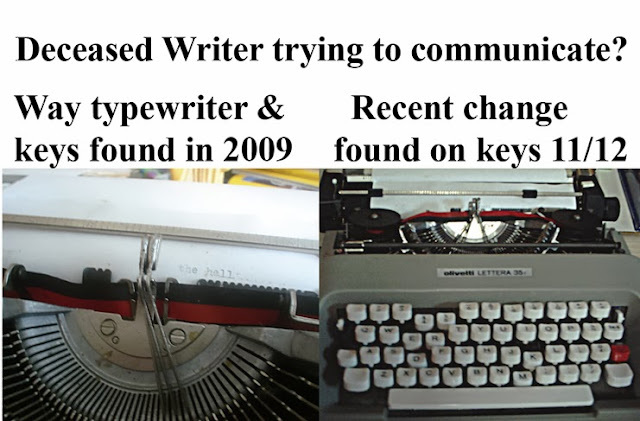 Upon inspecting the covered typewriter, that has been kept in our basement the past few years, we found to our surprise its orange towel was hanging to one side of the typewriter and the keys had been played with and new keys were pressed down. Other than using it for our Book Trailer in July 2012, no one had touched or moved it. The keys pressed down were strange as to leave a message for us. One the left side the keys pressed down: Numbers 4,5 letters ER, D. On the right side the letters, K, M.
We don't know the significance of the keys changed or the exact time it happened. 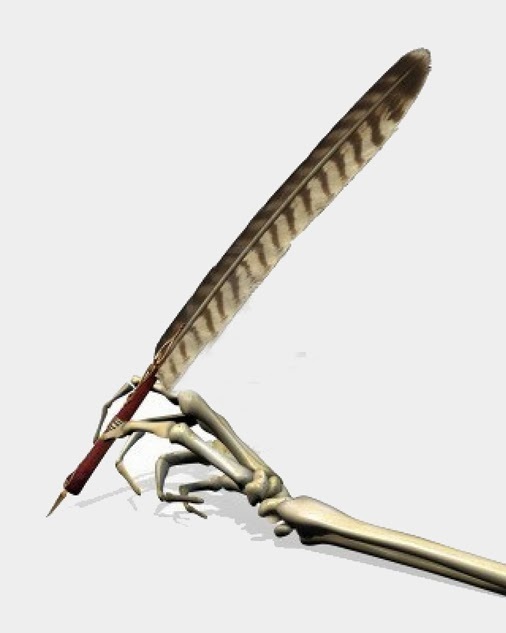 Here is our theory: My friend D-died (we think from the doctor's report) at 4:05 AM on the morning of January 19th 2009) in the E R ???? We have heard strange noises and bangs coming from our basement and no one goes down there unnecessarily. We know all is not well down there and something quite ancient in the spirit realm is possessive of the area.We are having another blessing scheduled for the house and basement and it may turn into a full exorcism of the ancient ground our house is built over. Which works into our next Blog Update: WHAT ARE SHADOW PEOPLE? 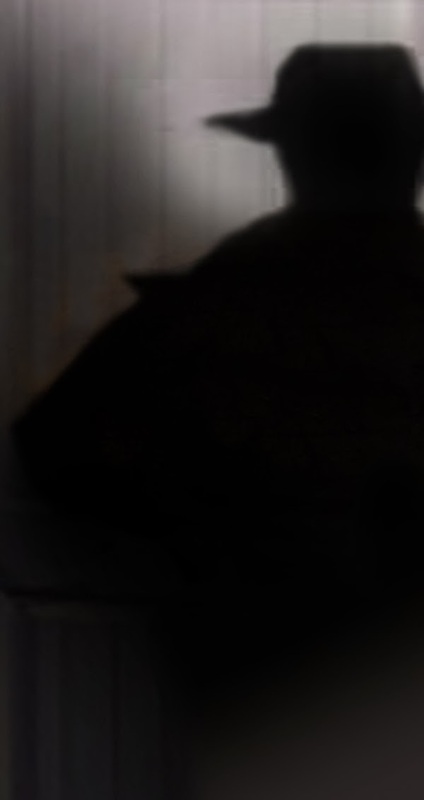 A shadow person, also known as a shadow figure, shadow being or black mass, is an alleged paranormal entity. Shadow people are described with striking similarities all over the world such as the Hat-Man which is described the same from small children to adults. The common traits: they described them as dark silhouettes with human shapes (usually a masculine shape) and profiles that flicker in and out of peripheral vision. Some people tell of seeing shadow people wearing coats, hoods and hats and a few people have claimed to see shadow people with bright red glowing eyes. 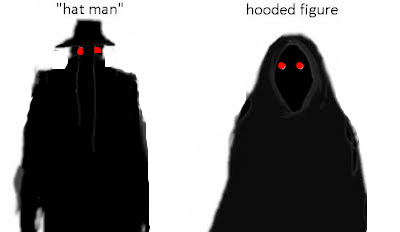 Others talk about the "Hat Man," a solid creature as having "a Zorro-type hat" or "a Fedora type hat". My family have seen The Hat Man in our home and these sightings have been connected with poltergeist activity at the same time. 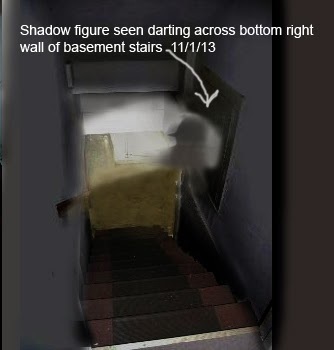 In 2011 I saw a tall shadow figure in our hallway as I was sitting in the living room watching TV. He was very fast but I could make out the shape. Our brimmed hat shadow man came to my son later (who is very psychic) in a dream and told him was a former resident who murdered his wife in the early 1900's. My son described him as wearing farmer's overalls and a brimmed hat along with his companion-a large black dog with red eyes. We researched in county records (the property dates to the early 1800's) and indeed a former owner went to prison for murdering his wife in 1900's. Is this the same entity attached to that part of the original haunted ground our house is built on? Or was he and his murdering deed partially influenced by some dark ancient evil in the ground he lived on? Several nights ago, Halloween night, son and his wife woke up about 2 AM to a loud bang coming from the basement. My son was very frightened and came into my room saying he thought someone had broken into the house. He grabbed his ninja sword from his collection and we all went down stairs to the basement door. Opening the door we were surprised to see a light reflected on the bottom basement wall which meant it was coming from back of the basement near the sink area where you have to use a pull chain to switch the light on. No one had put on the light the day. All of a sudden we saw a shadow figure go cross that lighted area below us and into the wall. We were very scared. My son was sure someone was down there. We bravely called out,"We've coming down!" and rushed down the stairs. No one was there! We looked around for several more minutes convinced all was secure but knew what we had seen. I'll tell you we did not sleep very well the rest of the night and all of us were bleary-eyed the next morning. Hey Anita Jo. Please contact me. My email is Christopherwfranklin1@gmail.com, or Tampacracka@yahoo.com. I can answer some questions you may have, in regards to this issue, and I also have a few of my own. Thank you.